Opinions Are Good. Thinking For Yourself is Great! Ever notice that there is no shortage of opinions? Everyone has something to say about what you do, say, think or love. And, while opinions from people you care about and respect can be good, they are not second fiddle to having your own critical thought. After you gather all the information you need (perhaps you spoke with your mortgage broker or REALTOR®), don’t hesitate to take time for yourself to figure out what it is that you want. To think through all the ins and outs, make a ‘pros and cons’ list and even come up with more questions that you wish you had asked. As Warren Buffett says here, there is “no substitute for thought”. 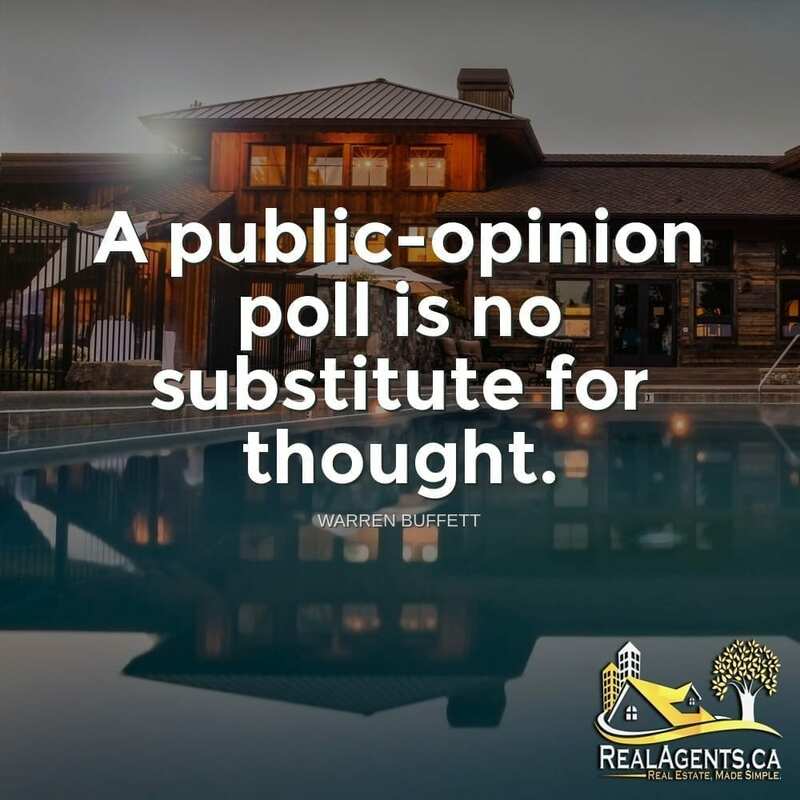 While he is referring to the stock market, and the many opinions that are out there about what to buy and sell, it is really not that different from real estate. Do your research an then trust in yourself. You know what is best for you. Born in Nebraska in 1930, Warren Buffett demonstrated keen business abilities at a young age. He formed Buffett Partnership Ltd. in 1956, and by 1965 he had assumed control of Berkshire Hathaway. Overseeing the growth of a conglomerate with holdings in the media, insurance, energy and food and beverage industries, Buffett became one of the world’s richest men and a celebrated philanthropist.